Book Launch Day for Banana Bamboozle! 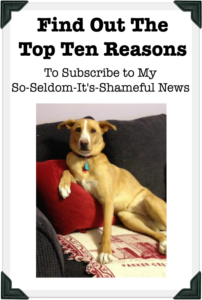 If you signed up on my mailing list, you’ve already heard that today is National Goof Off Day which is the perfect day to launch a fun, easy read like Banana Bamboozle. You’ve also heard all the merriment we have planned around the launch for the next few days. I can’t tell you all the Super Secret Stuff since you didn’t want to join the club (sob), but I can tell you that we’re having a Comment Contest on Facebook tomorrow, (Sunday March 23) and Monday (March 24). I’ll ask a question, you answer with your funniest, most delightful answer, and votes will be cast by complete strangers* pushing the ‘like’ button. Winners get signed books. If you’re not following me over at Facebook, just click the blue icon that says “Follow” in my sidebar, over thatawayâ†’â†’â†’â†’â†’â†’â†’ and probably â†“â†“â†“ too. Okay, since you twisted my arm and said ‘purty please’, I’ll tell you one more thing. The electronic version of Banana Bamboozle will be free today, tomorrow and Monday. Click here to download it. All I ask in return is that if you like it, you post a quick review on Amazon and/or Goodreads. The print edition is available here, but if you’d prefer to buy it from your local bookstore or request that your library carry it, just give them the ISBN: 978-1-4944-9471-1 and they can order it easy peasy. 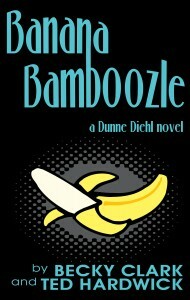 Happy Bamboozling … and thanks for helping make the BANANA BAMBOOZLE Book Launch so much fun! PS ”” Take a picture of how you spent National Goof Off Day (or any of your personal Goof Off Days) with your copy of Banana Bamboozle. When I get some good ones, I’ll post on my blog. Email jpgs to Becky (at) Becky Clark Books (dot) com … do I need to tell you there are no spaces? I’m never sure. 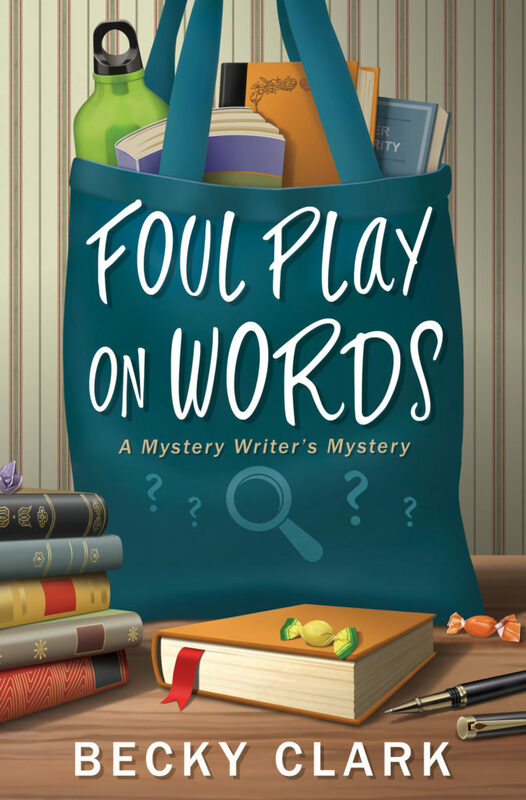 This entry was posted in Writing, Reading and Publishing and tagged Banana Bamboozle, Becky Clark, book launch, cozy mystery, free books, free kindle book, funny mystery, funny novel, humorous novel, National Goof Off Day, Ted Hardwick on March 22, 2014 by Becky.